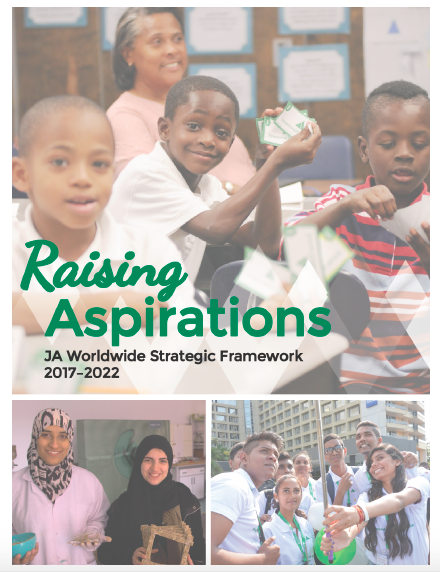 Welcome to the OneJA resources for communicating JA Worldwide's Strategic Plan. 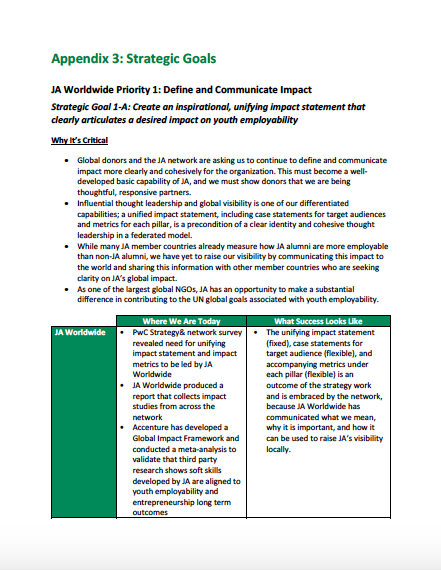 You'll find the full plan, a one-page overview of the plan, an appendix that details the strategic goals under each global priority, benefits for the network, and a PowerPoint deck for discussing the plan with a group. Ready to offer feedback on the strategic direction? Click here.